The hot weather is here. Like what they say, summer is real. The weather is so hot even at the start of the day so we decided not to go to the market. This is the moment when laziness struck you. We decided to just cook what is available in the fridge and luckily we still have a half kilo of pork loin in the freezer. So, what are we going to do with this piece of meat? We don’t have any vegetables to go with it. An idea hit me, why not make a pork loin barbecue roast? All the ingredients are available so I go with it. But, I don’t want to fire a charcoal to grill it. Yeah, I remember. It’s so hot. So, I remember what my mom would always do in preparing our packed lunch the night before. She would marinate the meat and boil it until tender. Then, the following morning I will simply grill it in the oven. It does not have that smoky flavor but hey! I don’t get to break a sweat grilling the meat. This pork loin barbecue roast is so simple to do. I bet every ingredients are available in your pantry. You can also use this recipe to roast other cuts of pork or chicken. Simply marinade the meat in banana ketchup, soy sauce, oyster sauce, rice wine and Sprite or 7Up which are both optional. But it is highly recommended to add it for added flavor. After marinating the meat, boil and simmer the meat until tender. When it is done, simply roast it in the oven for 12 to 15 minutes until the sauce caramelized and that’s it. Thoroughly clean the pork loin. Do not slice the meat but simply trim excess fat. Combine banana ketchup, light soy sauce, oyster sauce, rice wine, brown sugar, sriracha, Sprite and season with black pepper. Bring the pork mixture into a boil and simmer in low heat until pork is tender, roughly 40 – 45 minutes. Premix cornstarch and water. Slowly add the slurry into the sauce little by little until your sauce thickens to your desired consistency. 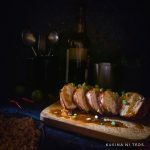 Baste the pork loin with the thickened sauce and grill in a 220 degrees Celsius preheated oven for 12 – 15 minutes until the sauce caramelized. Baste more sauce if desired. This recipe is so simple to make. 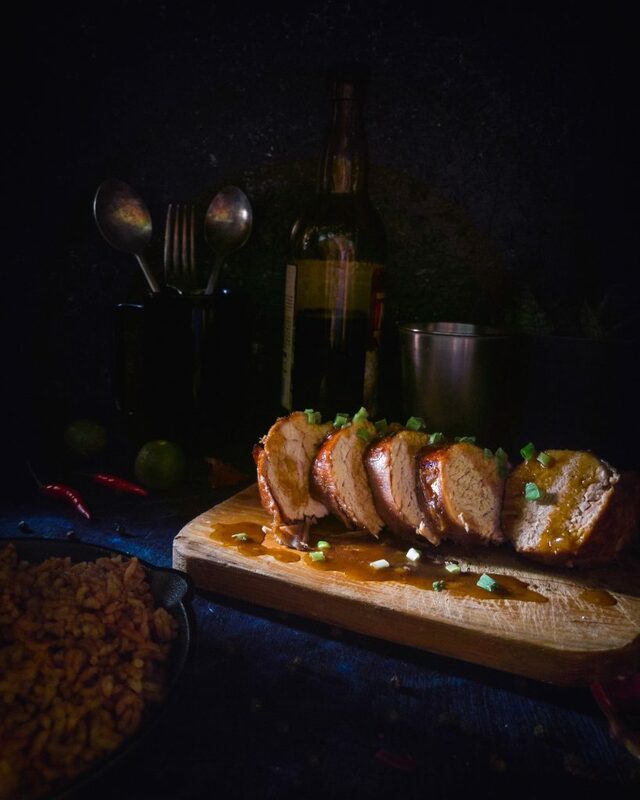 Simply boil the pork loin in its marinade until tender then finish it off in the oven to caramelized the sauce.